The Kaplen JCC on the Palisades Waltuch Art Gallery presents Making an Impression, an exhibition of monotypes, etchings, solar prints and more by artist Leslee Fetner. The Waltuch Art Gallery is a community space that exhibits thematically Jewish artwork, or art produced by Jewish artists. All gallery exhibits and receptions are free and open to the community, where JCC membership is not required. Gallery hours are Monday – Thursday, 9 am - 10 pm; Friday and Sunday, 9 am – 6 pm; closed Saturday and Jewish holidays. For more information on gallery exhibitions, contact Nina Bachrach at 201.408.1406 or nbachrach@jccotp.org. Argentinian tango nuevo group Tanghetto was conceived of by musician/producer Max Masri, with Diego S. Velázquez joining soon after. It started out as a studio project, and then it evolved into a songwriting partnership. The debut album, Emigrante (electrotango), was inspired by the crisis that Argentina was facing at that time. The word "electrotango" was some sort of warning to traditional tango fans, implying that "this is not what you could expect from a tango group." Soon that word became the name of a whole musical scene from which Tanghetto was one of its first exponents. Emigrante became an instant success and earned Tanghetto a Latin Grammy nomination for Best Instrumental Album. The Los Angeles Times said that Emigrante was "marked by its languid melodies, its smoky textures and the kind of delicate piano lines that would make Massive Attack proud." Their follow-up album, Hybrid Tango (which merged traditional tango with flamenco, bossanova, electropop, and hip-hop), received two Latin Grammy nominations in 2005. After scoring a hit on MTV Latino (their cover of New Order's "Blue Monday"), Tanghetto released their third album, El Miedo a la Libertad, in 2008, inspired by the book Fear Of Freedom by Erich Fromm. That album would receive a Gardel Music Award (Argentine's equivalent to the Grammys). In 2012 Tanghetto released their conceptual album, Incidental Tango, which explored the idea of tango in all its forms being a "soundtrack" of our lives. The album was nominated for the Gadel Awards, Tanghetto's fifth nomination in a row. In 2014 the band released Hybrid Tango II, which synthesized the unprejudiced hybridization of Hybrid Tango with the cinematic sound of Incidental Tango. The album also earned them another Latin Grammy nomination. Tanghetto's most recent album, Desenchufado, is their "unplugged" album, and also earned them a Gardel nomination in 2017. This performance will include an introductory Tango Class from 7:30-8:30pm by instructors from the Authentic Argentine Tango School, the only dance school in New Jersey dedicated exclusively to promote the art of Argentine Tango on the area. Followed by the concert/mega Milonga by the band and produced and directed by Carolina Zokalski and Diego Di Falco, long-time professional dancers, choreographers and producers whose achievements include a Tony nomination for best choreography and solo performances at the most prestigious theaters nationally and internationally including Carnegie Hall, Hollywood Bowl, Kennedy Center and more. WHEN: Saturday July 21st @ 7:30PM & Sunday July 22nd @ 2PM. After 2 SOLD OUT shows at NYC's Manhattan Repertory Theatre, 3 EGG CREAMS, is coming to Asbury Park. Starring the incredible VINCE BANDILLE as Vin Morrone, it portrays one man's lessons in life, loss and love, with 1 actor, 5 characters, all in one hour and 3 EGG CREAMS, inspired by & featuring the timeless music of the legendary LOU CHRISTIE! "The only thing that comes to mind after seeing 3 EGG CREAMSis shock. I had no idea what I was in for. I'm 61 years old, and I'm crying like a baby. If you have a chance, see it. I want to see it again myself." "I loved 3 EGG CREAMS! It's so poignant, it made me think, and laugh, and cry, and I know I saw the best thing in theatre in NY tonight, and I can't wait until everyone else knows it." "Broadway: One night it's a National Theatre multi-million dollar production at the Neil Simon theatre with Andrew Garfield killing it, and a few nights later it's an off Broadway MASTERPIECE with Vince Bandille killing it with 2 coats, a chair, a rose, a Santa hat, and an egg cream. The same level. The same experience, "3 EGG CREAMS is the quintessential NY story. It's about life, and love, it's about loss, it's about youth and growing older, and what we do to survive. It's about what we need from each other. It's really a fabulous piece that tells all about the Bronx, but it also tells a larger story about what it is to be alive and in love." See you at 3 EGG CREAMS, and please join us for a FREE pre-show EGG CREAM with every ticket purchase! The Raritan Valley Community College Planetarium in Branchburg has something for everyone in July, including laser concerts, shows for children and Harry Potter lovers, and a presentation that lets audiences “experience” a rocket launch. Rockin’ Rocket Ride, Wednesdays, July 11, 18, 25, 2:30 p.m.; Friday, July 20, 11 a.m.
SkyLights, Wednesdays, July 11 & 25, 3:30 p.m. Perfect Little Planet, Thursdays, July 12, 19, 26, 2:30 p.m.
Laser Kids 2018, Thursdays, July 12, 19, 26, 3:30 p.m. Attack of the Space Pirates, Thursdays, July 12 & 26, 4:30 p.m.
Astronomy Tonight, Friday, July 13, 8 p.m.
Laser Hollywood, Fridays, July 13 & 27, 9 p.m.; Saturday, July 28, 4 p.m.
Storybooks in Space, Wednesday, July 18, 3:30 p.m. The Alien Who Stole Christmas, Friday, July 20, 7 p.m.
It’s Christmas in July at the RVCC Planetarium. Discover the stars visible in the winter sky. Then follow Santa on a trip through the solar system when a friendly alien kidnaps him. The kids on the other planets also need presents. (Recommended for ages 6-10). Astronaut, Friday, July 20, 8 p.m.
Winter Wonder Lights, Friday, July 20, 9 p.m. The Skies over Hogwarts, Friday, July 27, 7 & 8 p.m.; Saturday, July 28, 2 & 3 p.m.
Planetarium tickets cost $10 for one show, or $16 for two shows on the same day. 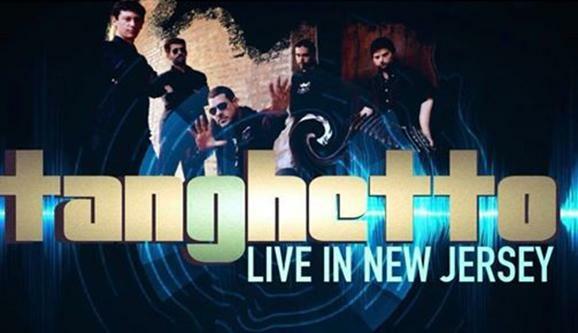 For reservations and information, call 908-231-8805. For additional information, visit www.raritanval.edu/planetarium. Save the dates for this year's Concerts in the Park! Concerts in the Park. Arrive early to order from the food trucks and pick out a spot on the lawn! Art in the Park programs are for adults and children age 6 and older. Activities run from 6-8PM each Wednesday. WHEN: MONDO, the cultural gathering place in downtown Summit (www.mondosummit.com), 426 Springfield Ave., Summit. Parking is available in the lot behind the building. The facility is wheelchair accessible. TICKETS: $20 when reserved in advance and $25 at the door. All shows begin at 8:00. Advance reservations are strongly encouraged because space is limited. To reserve, email info@mondosummit.com or call 917-969-4534. Monologues at MONDO is an annual event where Dreamcatcher’s actors perform solo works as readings in the intimate performance space at MONDO, a brownstone that houses numerous arts and culture programs in the heart of Summit. 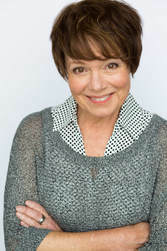 The series provides audiences with an opportunity for casual entertainment at an affordable price while introducing them to highly personal works performed by professional actors. 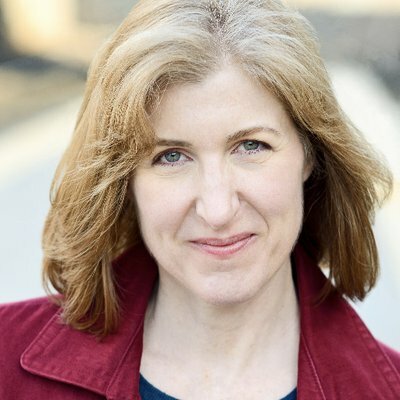 The following Thursday, July 12, 2018 at 8:00 pm, Laura Ekstrand will perform We’re Gonna Die by Young Jean Lee. Drawing from true stories of people’s experiences with tragedy, despair and loneliness, Young Jean Lee creates a life-affirming show about the one thing we all have in common: we’re gonna die. "Young Jean Lee is, hands down, the most adventurous downtown playwright of her generation . . . A combination of pop concert and autobiographical lament for the human condition, We're Gonna Die's forthright acknowledgment that life can be a rough business is bracing, funny, and, yes, consoling." -Charles Isherwood, The New York Times. On Thursday, July 19, 2018 at 8:00 pm, Nicole Callender will perform Pretty Fire by Charlayne Woodard. The lyrical, lifting words of Charlayne Woodard weave stories of two young sisters in the small world of Albany, New York; of Ku Klux Klan riders burning a cross—the ironic "pretty fire" of the title—in the hilltop black town of Rosignol Hill, Georgia; of three generations of family love, struggle and triumph. An authentic, mesmerizing experience of contemporary African-American life. Filled with earthy humor, it takes readers on a universal journey through a world in which the family bond is as strong as steel. Last in the series on Thursday, July 26, 2018 at 8:00 pm, Jason Szamreta will perform The Absolute Brightness of Leonard Pelkey by James Lecesne. One actor portrays every character in a small Jersey Shore town as he unravels the story of Leonard Pelkey, a tenaciously optimistic and flamboyant fourteen-year-old boy who goes missing. A luminous force of nature whose magic is only truly felt once he is gone, Leonard becomes an unexpected inspiration as the town’s citizens question how they live, who they love, and what they leave behind. “An affecting and entertaining testament to the beauty of a world in which difference is celebrated rather than denigrated.” —Los Angeles Times. For information on any of Dreamcatcher Repertory Theatre's programs, please visit www.dreamcatcherrep.org or contact Dreamcatcher Repertory Theatre at Oakes Center, 120 Morris Avenue, Summit, NJ 07901, 908-514-9654. Artists from surrounding towns in New Jersey have created PLEIN AIR PAINTINGS throughout the weekend of June 22, 23 & 24. All art work was done on site at their chosen Essex County Park. The purpose of this event was to raise awareness of the beauty in our parks as seen through the eyes of artists. Their works will be judged by Catherine Kinkade, an award winning Fine Artist. Awards will be given on Saturday, June 30th, during the Celebration/Exhibition. Meet the Artists while enjoying the exhibit, refreshments and light fare. Kathy Salisbury, Director of the Ambler Arboretum at Temple University and former President of the Native Plant Society of NJ, returns for an in-depth, practical guide to the best native plants to grow for cut flowers. For more info, click here. 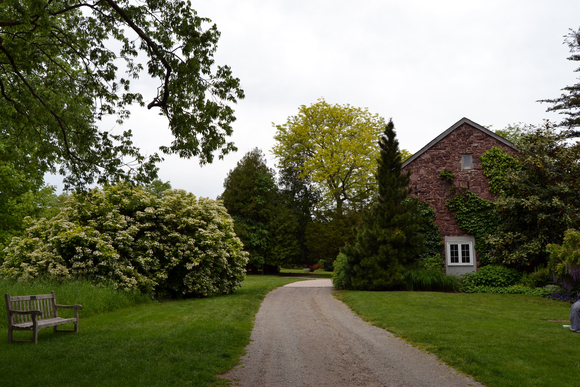 Step onto the beautiful grounds of The Frelinghuysen Arboretum for a leisurely, guided tour focusing on seasonal blooms, followed by a delicious tea at Matilda’s Café. A sumptuous selection of scones, tea sandwiches, baked-from-scratch pastries, and teas are offered. Check it out here. 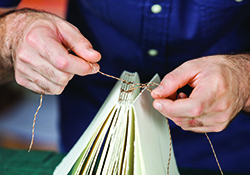 Learn the art of bookmaking with Cindy Kramer of Panda Paper at Historic Speedwell. Using historically accurate materials, create four journals and a case to hold them. I want to learn more. Stroll through the beautiful gardens while listening to audio clips straight from your phone. Learn the history, and enjoy the breathtaking scenery, all at your convenience. Tours take about an hour to complete. Dial 973.349.3020, and follow the instructions. Click here to learn more. This summer, we are thrilled to adapt Bring it On, The Musical into a junior version! We are thrilled that director/founder Lindsay Maron will be working with the creators of Bring it On (Jeff Whitty, Amanda Green, Tom Kitt, and Lin-Manuel Miranda) to create a brand new Junior Version! This 30-minute workshop production is perfect for young audiences! The perfect summer camp for young aspiring performers! What is "Theater Creations Camp"? 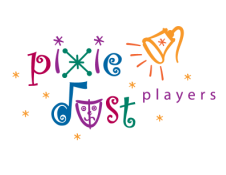 This August, Chatham Community Players will offer a two-week theater arts camp for children ages 7-10 lead by Scott Tyler, the Camp Director/Instructor. Our campers will learn the fundamentals of acting onstage while using their imaginations and artistic creativity to develop their very own play! Through various games and exercises, our campers will also learn about different theatrical elements and how they are used to shape a performance. An original script will be created using the campers chosen storyline and characters. This work will be rehearsed and ultimately performed on the CCP stage. The camp culminates in a full performance with no scripts in hand for family and friends. Half day campers get to create one play. Full day campers will get to create two plays. When is "Theater Creations Camp"? Camp runs from Monday, August 6th, through Friday, August 17th (weekdays). There are a few options when signing up: You can be a FULL DAY camper for the whole two weeks (both AM and PM sessions) or you can be a HALF DAY camper (AM or PM). AM runs from 9am--11:30 with a 15 minute break for snack. Lunch is from 11:30--12. Then PM runs 12--2:30 with another 15 minute break. 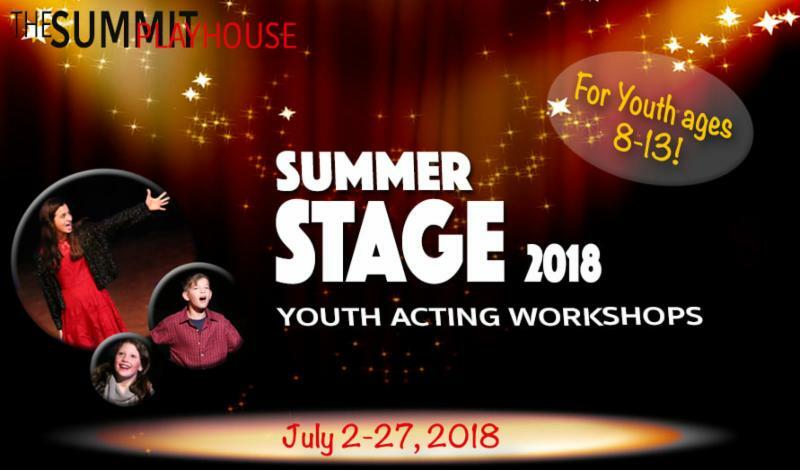 The Summit Playhouse is excited to offer a 2-week Summer Acting Workshop for youth ages 8-13 years! The 2-week session will culminate in a Showcase with an invited audience of family, friends, and Industry Professionals! The Showcase will be presented the last hour of the last session. WHEN: Thursday, July 26, 2108. BONJ ANSWERS THE QUESTION: What is a Trouser Role? The term is mostly used in the opera world. It refers to a male character intended to be sung by a female soprano or mezzo-soprano. Most commonly, the character is a young male. What are some famous trouser roles? There are many famous trouser roles in great operas. Cherubino in Mozart's Le Nozze di Figaro is one. Oscar in Verdi's Un ballo in maschera is another. The most recent one would be Octavian in Richard Strauss's Der Rosenkavalier. What is the trouser role in Die Fledermaus? Prince Orlovsky, at whose palace the Act II party is held, is a trouser role. He is a young—maybe 16-17 years old—Russian prince who is bored with life. He hopes the party trick being enacted by Falke will make him laugh. Strauss most likely cast the role for female singer both to convey the character's youth and to add another female voice to the ensemble. The 2018 BONJ Summer Music Festival opens Sunday August 5 at 3:00 pm with a semi-staged performance of Johann Strauss's Die Fledermaus commonly known in English as Revenge of the Bat. The reference is to a joke played by one character on another, but in reality it's all an excuse for one big party. Featuring BONJ singers Timothy Maureen Cole, Kevin Peters, Jason Adamo, Maria Alu, George Spitzer, Teresa Giardina, Dmitri Zigrino, Josh LaRose, Alessia Santoro and BONJ Opera Chorus, the opera will be performed in English so all the zesty humor can shine. Join the fun at Dolan Hall, The Annunciation Center, The College of Saint Elizabeth, 2 Convent Road, Morristown, New Jersey. Click below to order individual tickets or for further information. Save money - order a festival pass and hear it all. WHEN: Monday Night Salon Readings are first come, first-served; no reservations accepted. Doors open at 6:30. Readings begin promptly at 7:00 followed by a discussion. Mary is the ex-wife, Karen is the ex-lover and Adam is the ex-husband who betrayed them both. Now Adam is deathly ill and the two women have to decide what to do with him. They reunite to figure out what happened, to remember the good times and the bad--but mostly to put the whole damn thing to rest. Aging country superstar Toby Crenshaw is ready for his usual post-performance coitus with a line of eager, young groupies, hand picked by his head of security. But when the first girl to enter turns out to be far more than Toby can handle, he finds himself in an impossible situation that he can't easily extricate himself from. "Lily" explores the unfair advantages of fame, addresses the effects of the gender imbalances that led to the #MeToo movement, and challenges our very idea of what is moral. Audiences & Critics are loving MERCY! Tickets for this dark comedy are selling fast - get them while you can! 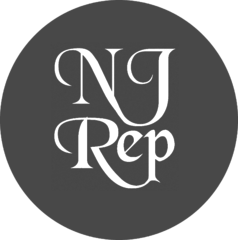 Call 732-229-3166, visit njrep.org or click the BUY TICKETS button below! WHEN: Thursdays, July 12 and 26 at 10:00 a.m. This month’s Storytimes at Morven Museum & Garden are read by our Curator of Education and Public Programs Debra Lampert-Rudman and one of Morven’s docents and are followed by visits to Morven’s gardens and special take-home crafts! Bring along a hat and your favorite blanket for storytime! July 12: Ladybug Girl fun for boys and girls! When Lulu puts on her ladybug costume, she becomes Ladybug Girl, a superhero who uses her imagination to have adventures right in her own backyard. Her dog, Bingo the basset hound, is always by her side and the two prove that they are not too little to explore nature, build forts, and make their own big fun. We’ll read and create a ladybug craft outside (weather permitting) in Morven’s gardens! All craft materials supplied. July 26: The Very Big Carrot at Morven! What would YOU do with a very big carrot? Join us for a reading of Satoe Tone’s luscious book The Very Big Carrot and meet six rabbits who have some very interesting ideas of things to do with a very big carrot. Following our reading, we will design our own very big carrot to take home! All craft materials supplied. WHEN: Mondays, July 2 through 23, from 9:30 a.m. to 12:30 p.m.
Morven is delighted to collaborate with the Arts Council of Princeton for this exciting new pastel class held in the gardens at Morven. Discover the power of pastels in natural settings; learn to create fresh, spontaneous landscape sketches outdoors without the complications of palettes and drying time. This direct and immediate medium remains as vibrant in the completed work as in the initial application. WHEN: Thursdays, July 5 through August 2, from 12:30 p.m. to 3:30 p.m.
Morven Museum & Garden, New Jersey’s most historic home, is a picturesque backdrop for plein air painting. Morven’s impressive facade and wonderful architectural details, outstanding grounds, including wide varieties of plants and foliage in full color, make wonderful subjects. Come explore the changing effects of natural light as it bathes the grounds throughout the afternoon. The public is invited to observe artists at work. Register for one week or for eight weeks of summer! Artists supply own materials, canvas, easel, rags, stool, garbage bags, umbrellas, hats, and sunscreen. WHEN: Wednesday, July 11, 2:00 p.m.
Join us for a 45-minute illustrated presentation and discussion with Dr. Joseph E. Wroblewski to learn more about New Jersey Governor Walter E. Edge. 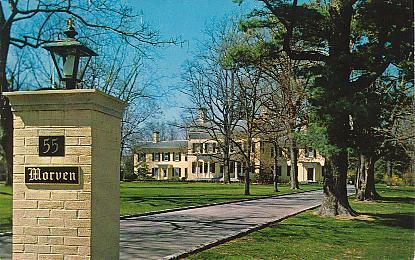 Edge purchased Morven from the Stockton family in 1944, and, along with his wife, Camilla, and their family, helped lay the groundwork for Morven’s future as home to five New Jersey Governors, their families, and staffs. 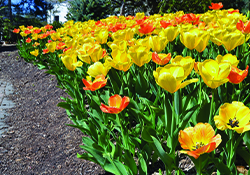 WHEN: Friday, July 13 and 27, 11:00 a.m.
Join Morven Museum & Garden’s gardener for a 45-minute tour of what's in bloom in the gardens! Explore the restoration of Helen Hamilton Shield Stockton's Colonial Revival early 20th century garden, and examine this year's demonstration garden featuring heirloom flowers and their contemporary counterparts. Your tour will also cover some of Morven's other restored landscape features as well as the present renovation of Morven’s gardens surrounding the new Stockton Education Center. Don't miss these special tours! Advance registration is required (Shine only...rain cancels Garden Tour). Join us as we once again begin the annual series of monthly yoga classes in Morven’s gardens with Gemma Farrell of Gratitude Yoga in Princeton. Gemma, a long-time yoga practitioner and one of Princeton’s most popular yoga instructors, invites the community to join her and explore the benefits of taking their yoga practices out of the studio. Don’t forget your yoga mat, towel, and bottle of water! 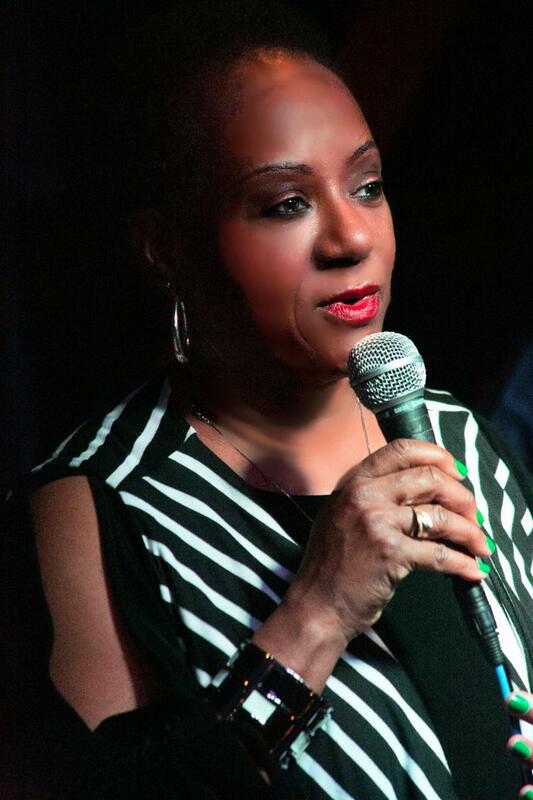 Oldest jazz club in the Pocono Mountains….. WHEN: Saturdays, July 28 and August 25. Both shows will begin at 5 p.m. and last for approximately 45 minutes. WHERE: RVCC Planetarium, 118 Lamington Road in Branchburg, NJ. ADMISSION: $10 per person. Seating is limited and reservations are strongly suggested. The show, which is appropriate for audiences of all ages, will provide a comfortable and judgment-free space that is welcoming to everyone. During the show, the doors will remain open so children may freely leave and return if they choose. Lights will be left dim (instead of dark) and the audio will be lowered and kept at a consistent level. The show will include music, laser lights, stories and information about the planets, the Moon and constellations. All material will be presented on a very basic, kindergarten level. Serving Somerset and Hunterdon County residents for close to 50 years, RVCC is an educational and cultural center that is nationally recognized for its innovative programming, service to the community and environmental leadership. The College offers more than 90 associate degrees and certificates, as well as career training, professional development, and adult and youth personal enrichment courses. The College also has a performing arts center and planetarium. The Jewish Heritage Museum of Monmouth County will expand its hours and remain open to the public on six Thursday evenings during July and August, from 6:00 PM to 9:00 PM, with various programs offered at 7:00 PM for Thursday Nights at the Museum. Admission for each event is $3 members, $5 non-members, students free (except for The Wedding Plan, which is $10). Light refreshments will be served. The first program, on Thursday, July 12, 2018, will be The Wedding Plan (as part of the Israel Film Festival). Exhausted by single life at 32, spirited bride-to-be Michal (Noa Kooler) is eager for the comfort and companionship of marriage. Then, her fiancé dumps her one month before their wedding. Devastated but undeterred, she decides to keep her wedding date, leaving it to fate to provide a suitable groom. This and other films in the series are presented in collaboration with the Axelrod Theater, and are supported in part by the Jewish Federation in the Heart of New Jersey. The next program for Thursday, July 19, 2018 will be an encore PowerPoint presentation about artist Louise Nevelson: The Grande Dame of Contemporary American Sculpture. This PowerPoint presentation will explore the life and art of the Yiddish-speaking Ukrainian six-year-old who immigrated to Maine with her family in 1905 and grew up to play a major role in the creation of modern American sculpture. The third program on Thursday, July 26, 2018 will feature a talk on Sophie Tucker: Last of the Red Hot Mamas, by Marcia Midler, from the Speakers Bureau of the Jewish Historical Society of Central Jersey. Following, on Thursday, August 2, 2018 is The Golden Medinah, a PowerPoint presentation on Eastern European Jewish immigration to Monmouth County in the 19th and 20th centuries. Do not miss the adventure of the informative and fun program, Come and Build Your Own Virtual Menorah, with Marc Diament, Speakers Bureau committee member on Thursday, August 9, 2018. Learn the elements of 3D digital design in this interactive workshop. The final program in this Thursday night Summer Series will be held on Thursday, August 16, 2018 with Finding Your Roots. Come and explore the Museum’s genealogy resources to create your family tree with Marc Diament, Genealogy Committee Chair. WHERE: he Jewish Heritage Museum is located in the Mounts Corner Shopping Center, at 310 Mounts Corner Drive Freehold, NJ, at the corner of Route 537 and Wemrock Road (between the CentraState Medical Center and Freehold Raceway Mall). It is on the second floor of the historic Levi Solomon Barn. The JHMOMC is a tax-exempt organization under Section 501 (c)(3) of the Internal Revenue Code. The Museum is handicapped and assistive listening accessible. Not seen at our theatre in over 30 years, Shakespeare's infamous play was wildly popular with the Elizabethan audience. Now might be just the right time to present this rarely produced play given our similar modern appetite for revenge epics. This unsettling portrait of a society drowning in violence and seemingly bereft of civil thought or action holds a disturbing mirror up to aspects of our current world. 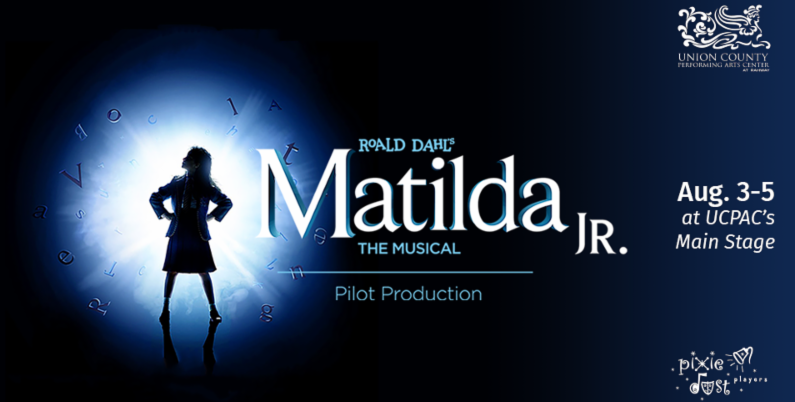 Please note: This production is not appropriate for younger audiences. +Offer expires July 23. Not valid Saturdays, Sunday matinee performances, or prior purchases. Other restrictions may apply. Please call the Box Office for more information. Bring your chairs, blankets, coolers and the entire family to enjoy music, awesome food vendors and an amazing Fireworks display. Buses will shuttle you from Panther Valley Ecumenical Church on Rte 517 in Allamuchy. Free buses will stop when we reach capacity. Rutherfurd Hall ONSITE Parking passes are on sale now while supplies last. Park on premises at Rutherfurd Hall/MVS starting at 5:00 pm. You must pick up your actual pass for your vehicle at Rutherfurd Hall Wednesdays 12:00-4:00 pm. or call 908-852-1894 Ext 338 for appt. If you purchase an Onsite Pass, you may also reserve a preferred space in a designated area on the lawn where you can put up a pop-up tent. (no larger than 10x10 please) Only those who purchase the prepaid passes will be permitted to bring a tent on property. These spot are very limited and going fast. You must also pick up this pass at Rutherfurd Hall on Wednesdays 12:00-4:00 pm, or call 908-852-1894 Ext 338 for appt. FEE: $60.00 per Reserved Spot and Parking Pass together. Premium OFFSITE Parking passes are also available. Park at Allamuchy Township School on Johnsonburg Road. You are guaranteed a shuttle to the fireworks until 8:00pm. You must also pick up this pass at Rutherfurd Hall on Wednesdays 1:00-4:00 pm, or call 908-852-1894 Ext 338 for appt. To reserve your parking or lawn spot CLICK HERE or call (908)852-1894 Ext 338.